The conference started off with welcome speeches by Roland Hanak, Jürgen Schick, Anna Gherganova and Ludmila Pavlov, coordinators of Priority Area 9 (PA9) from Austria and Moldova. Furthermore, Stefaan Hermans, Director of Policy Strategy and Evaluation at DG EAC at the European Commission also welcomed participants. As the current Action Plan for the Danube region is going to be updated, presenters encouraged participants to share their inputs for improvement and emphasised the need for cooperation and active participation. The event continued with two keynote speeches focusing on the future of education and work. First, Stefaan Hermans from the European Commission presented the Commission’s stance regarding European education cooperation. As he explained, equal access to quality education is the pillar of social rights and assured that inclusiveness is going to remain a priority, besides for instance non-discrimination and digitization. In the second keynote, Marcel Fink, Senior Researcher from the Institute for Advanced Studies in Austria presented his research on the digitization of work and what risks the automation of jobs and the so-called “industry 4.0” might entail. An interesting finding of the research is that those with higher education have the lowest risk of losing their jobs because of automation, while the primary and secondary sectors are expected to be most affected. Overall, there is a higher share of jobs at risk of automation in Eastern and Southern Europe than in other parts of the continent, as there are more jobs in the aforementioned sectors there. 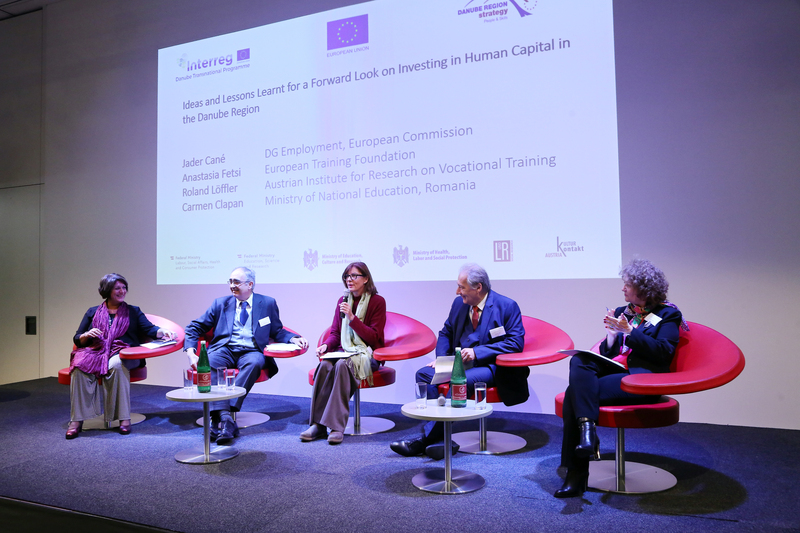 Then, the panel discussion entitled “Ideas and Lessons Learnt for a Forward Look on Investing in Human Capital in the Danube Region” followed, with the participation of Jader Cané (DG Employment, European Commission), Anastasia Fets (European Training Foundation), Roland Löffler (Austrian Institute for Research on Vocational Training) and Carmen Clapan (Ministry of National Education, Romania). Speakers highlighted the importance of continuous monitoring of labour market changes and providing funds to reach macroregional goals, such as social inclusion. In the second half of the event, participants were given the chance to discuss the most pressing issues concerning education and labour market policy in the region in small groups, through the world café format. Finally, the results of the discussions were summarised. 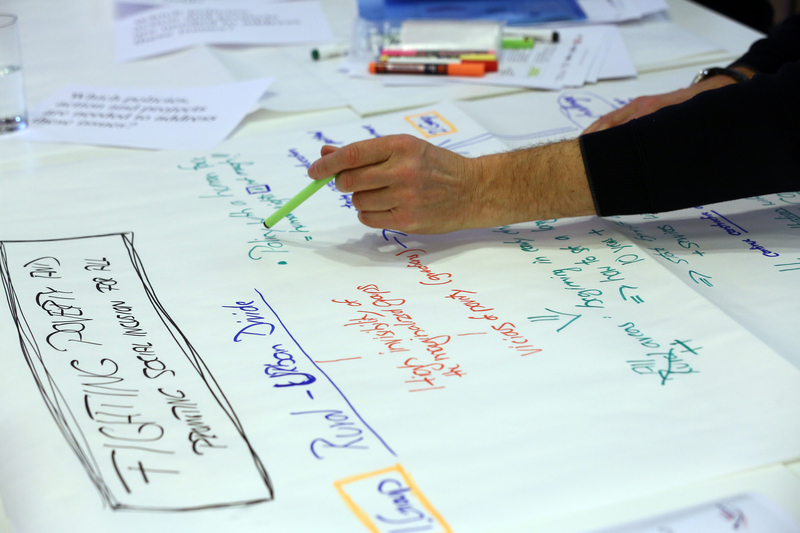 Some of the main conclusions of the eight world café tables included the importance of transnational approaches to identify common issues in the region, providing quality training of teachers and supporting life-long learning.